Accurate, well-written, and readable books suitable for self-learning. All titles are available at no charge in proofread and well-formatted MOBI, EPUB, and PDF versions to work with Kindles®, smartphones, tablets, and most other devices. Christian faith is based on the Bible as the sole rule of faith and practice. Confessions are useful and necessary insofar as they accurately explain the Scriptures. Traditionally Lutherans have embraced the Lutheran Confessions – also known as the Book of Concord or Concordia – as a clear description of orthodox, catholic and apostolic Christianity, that saving faith once delivered to the saints (Jude 1:3). The most important thing to grasp is that one is made right with God not by any good things he or she might do. Justification is by faith only, and that faith rests in the one-time substitutionary death of Jesus Christ for one’s sins. The Lutheran Library editors believe, teach and confess the evangelical Christian faith as described by the Ecumenical Creeds, The Augsburg Confession, The Formula of Concord, and the other sections of the Book of Concord. 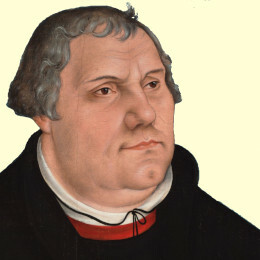 In the early days of the Reformation, Evangelical was the preferred name. Lutheran was a derogatory term used against those who believed the Biblical doctrines. The false implication was that Lutheranism was a departure from historic Christianity. The truth was that it was a rejection of the medieval errors and abuses which had crept into the Church. I am entering on an arduous task, and it may perhaps be impossible to uproot an abuse which, strengthened by the practice of so many ages, and approved by universal consent, as fixed itself so firmly among us, that the greater part of the books which have influence at the present day must needs be done away with, and almost the entire aspect of the churches be changed, and a totally different kind of ceremonies be brought in, or rather, brought back. The same hypocrites are adepts in rejoicing over and taking pleasure in having an opportunity to gossip about the fall and crime of a neighbor, and to stir up his filth. And what other persons do, they always construe in the worst light … If you were a godly person you should cover up and help to quiet such things, as much as it may be possible for you. For the next generation, that the Lord will plant in them a love of the truth, and that the hard-learned lessons of the past will not be forgotten.